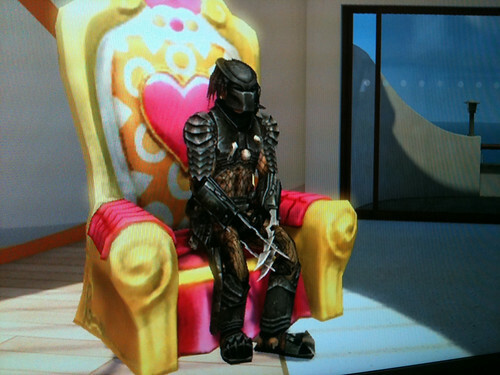 I have often been a bit annoyed by PS3 home that I did not feel comfortable with my avatar. I had a few custom clothes that were fun, but the lack of green hair just grated. 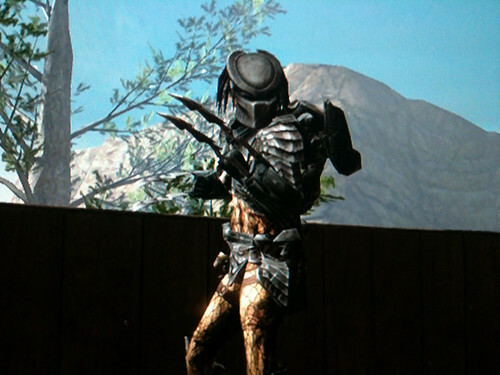 Now though with the release of the game AvP (which I have on my Xbox) some limited edition content has been made available. So I bought it last night and whilst I cannot overlay my jacket as in Second Life it did feel just right. Odd as that may seem. 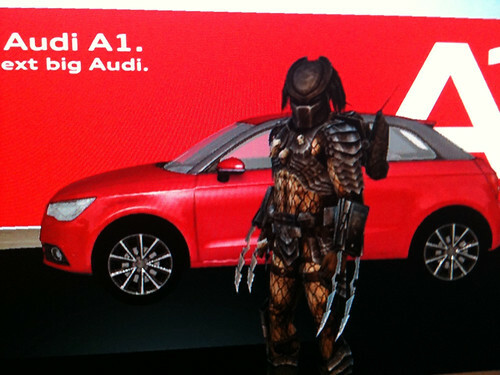 The models and movement and lighting are all very high grade as you would expect. 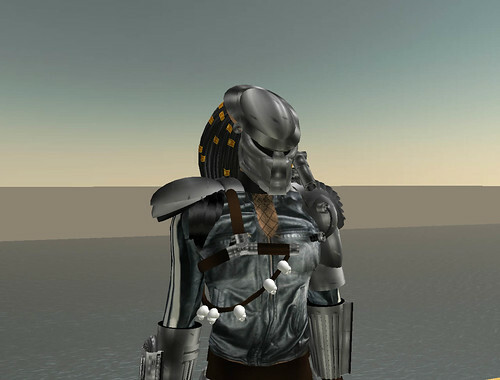 Though I think it still shows the fantastic skill of Sythia Veil who created my predator AV in Second Life over 4 years ago with just the tools in SL ! Which I might add if I had not had so much time and emotion invested in that look I would not have paid to have that in PS3 Home and then written this post singing it praises. Note, there is a lot to be said for user created content and fan art!